This adorable sleep sack will ensure your eczema baby gets a full night sleep. It features mittens that can be folded open or kept close to prevent little fingers from scratching delicate skin. The bottom can be folded open or kept closed to protect the legs. The fabric is soft and breathable to keep your little one comfortable all through the night. 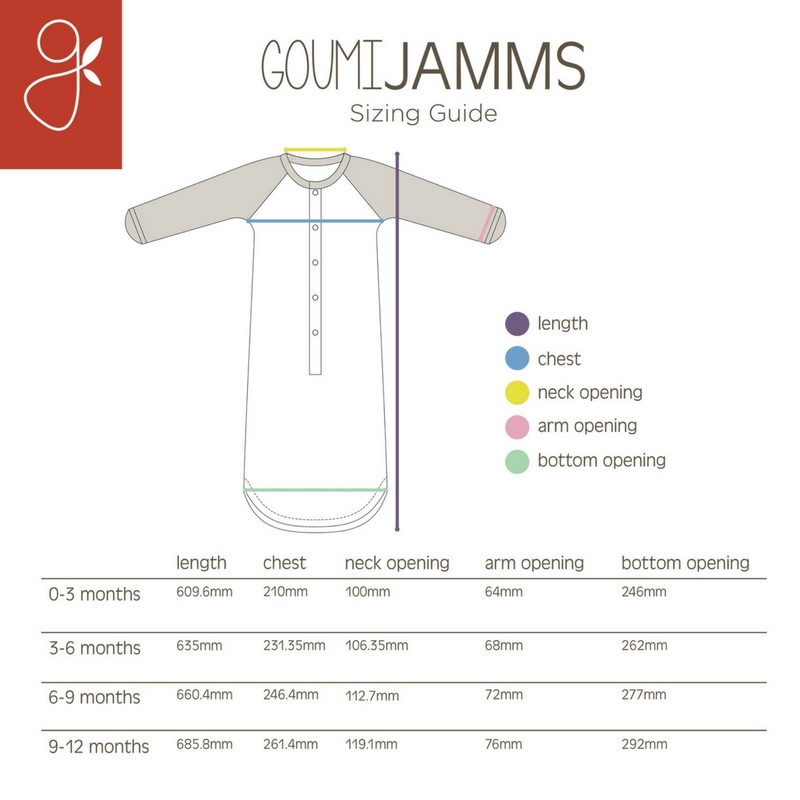 Mix and Match with Goumi Hats and Infant Eczema Mittens by Goumi Kids. Wear as pajamas at night or as scratch prevention during the day. Great as an outer layer for wet wrapping. 70% bamboo viscose/30% organic cotton blend for the body. 100% cotton for the printed mittens.